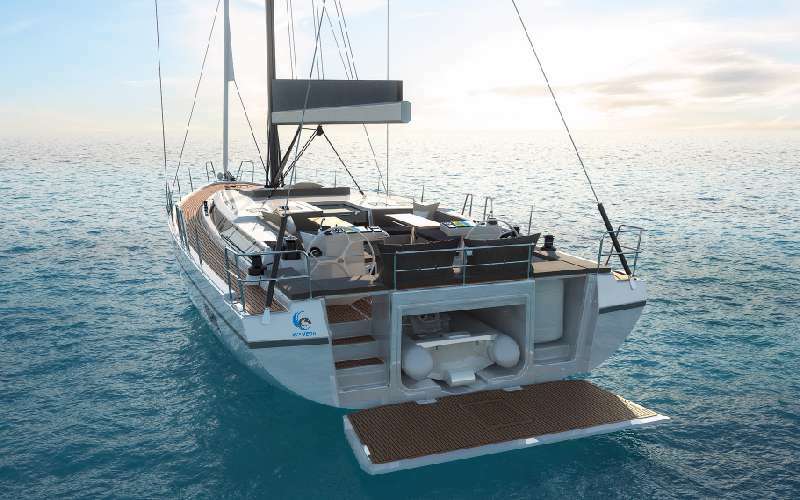 Wyvern is our new Bavaria C57 - the perfect luxury sailing yacht. Built in 2018 and launched in Greece in 2019, Wyvern's home port is on the island of Lefkas with the stunning Southern Ionian to explore. With the season running from April until November, we are ready to host you as a couple, family or group. With her pioneering design and exceptional sailing performance, your stay on board this yacht is sure to be unforgettable. 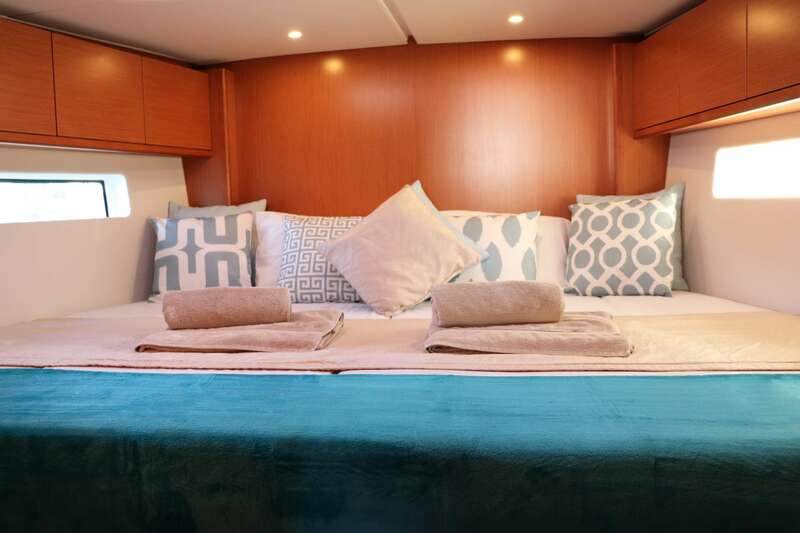 With the flexible option of a 4/5 cabin layout, 3 heads and a self-contained skipper's cabin in the bow, there is plenty of space on board for up to a group of 11 plus skipper. 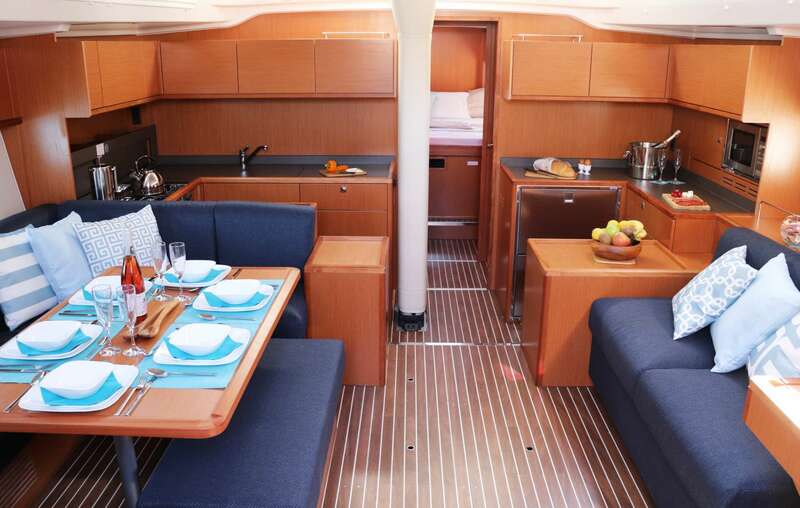 The huge king forward cabin can be split into two to create two smaller doubles if you desire. 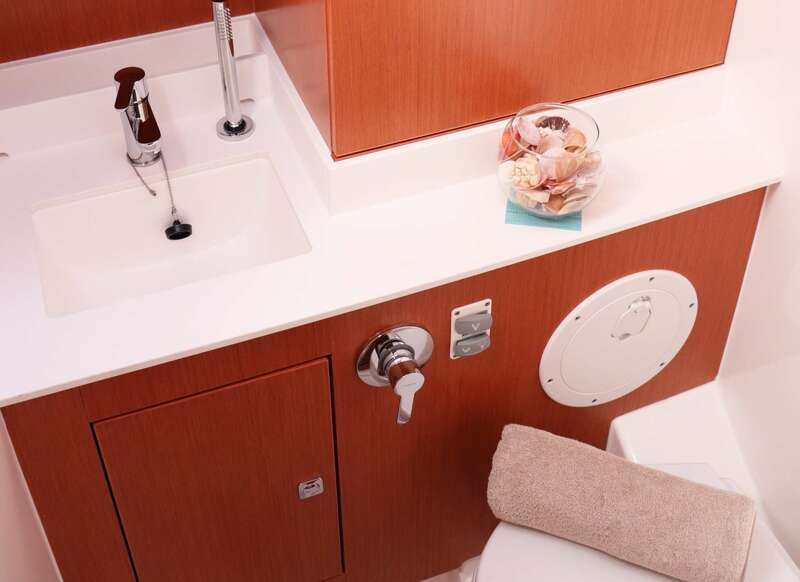 The aft queen cabins are light and airy and the twin bunk cabin is a great feature. 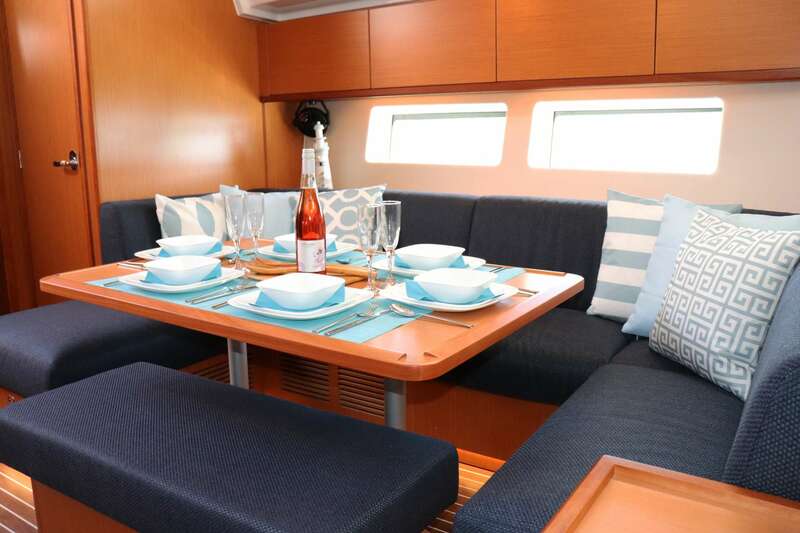 On deck, she boasts huge sunbathing cushions for the coachroof and foredeck, a roomy cockpit with twin tables and plenty of seating under the shade of the bimini. 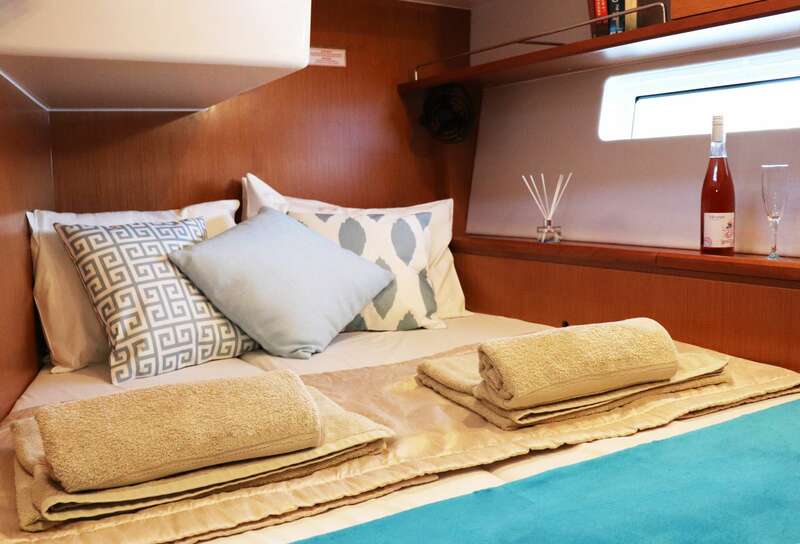 The twin steering positions and sheets leading back to the helms make this yacht easily manageable for the crew of 2. Your Skipper and Hostess have been sailing in the Ionian for many years and look forwards to welcoming you on board and sharing their knowledge of sailing, the islands and Greek culture with you. 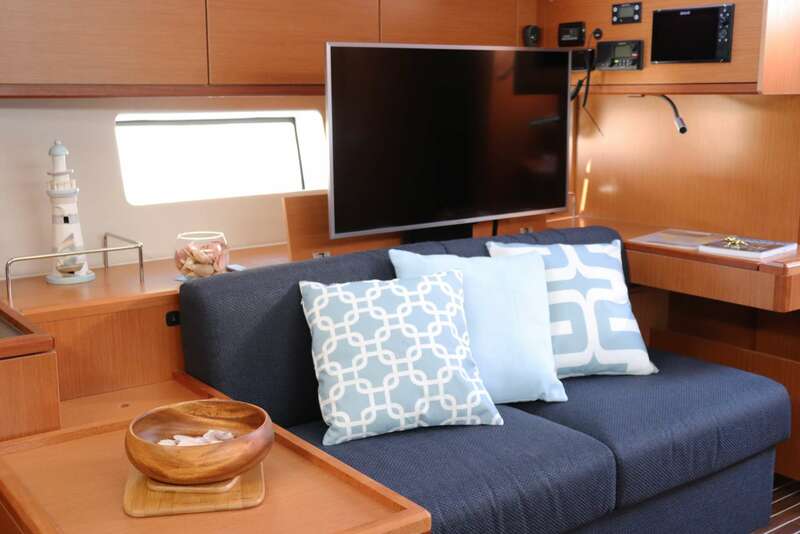 If you want to sit back, relax and hop from island to island in luxury, then prepare to be amazed by Wyvern. Equally, if you fancy getting stuck in with the sailing, maybe learning the ropes, then your Skipper will be very glad to teach you along the way! 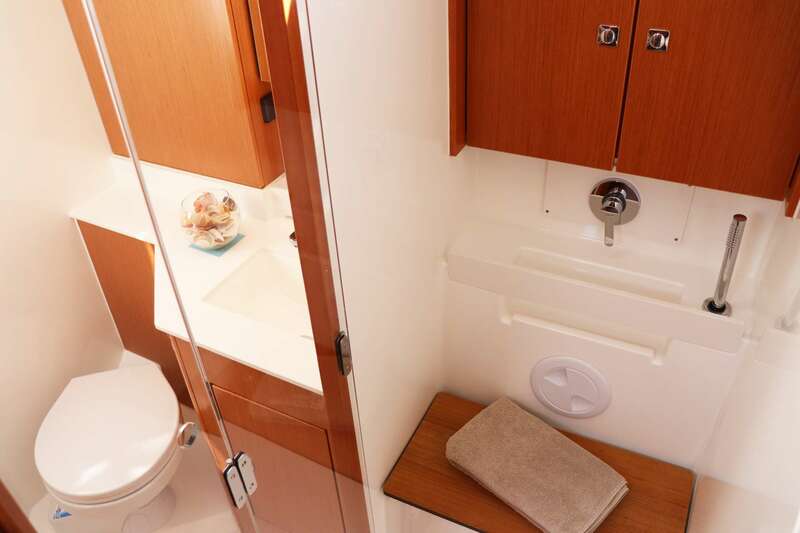 Guest Accommodation: 1 king cabin (dimensions: 3,00m x 2,06m x 1,25m) with en-suite wet heads, 2 queen cabins (dimensions: 1,56m x 2,03m x 1,10m) and 1 twin bunk cabin sharing 1 dry heads & 1 wet heads, and 1 double table conversion.